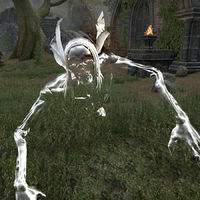 The Abomination of Fear is a ghost that can be found on Betnikh after being summoned by the Staff of Arkay. Unearthing the Past: Use Betnikh's past to help the present. This page was last modified on 29 January 2017, at 16:17.